Everything Flows yet is Traceable – I explore this aspect in the context of data mining as well in the context of software projects. Multi Algorithm Voting for better Segmentation. Multi Algorithm Voting (MAV) is a decision support method and tool, enables presentation, comparison and evaluation of multi-algorithm outputs derived from widely diverse algorithms. Cluster Evolution Analysis. Cluster analysis is often performed at a specific point in time, without taking into account previous cluster analysis products. Cluster Evolution Analysis proposes a model that addresses three phenomena likely to occur over time: 1) changes in the number of clusters; 2) changes in cluster characteristics; 3) between-cluster migration of objects. Dynamic Updating of Classifier Rules via Small Memory Buffers. In big data environment, training of a classifier cannot use “brute-force-processing” (in real-time nor off-line). For this purpose we propose a method and a system for an ongoing updating of classification rules based on incremental processing of “dynamic “samples” stored in the small memory buffers. Ramon-Gonen, R., & Gelbard, R. (2017). Cluster evolution analysis: Identification and detection of similar clusters and migration patterns. | Expert Systems with Applications, 83, 363-378. Etgar, R., Gelbard, R., & Cohen, Y. (2017). Optimizing version release dates of research and development long-term processes. | European Journal of Operational Research, 259(2), 642-653. Aviad, B., & Roy, G. (2011). Classification by clustering decision tree-like classifier based on adjusted clusters. | Expert Systems with Applications, 38(7), 8220-8228. Gelbard, R., Carmeli, A., Bittmann, R. M., & Ronen, S. S. (2009). 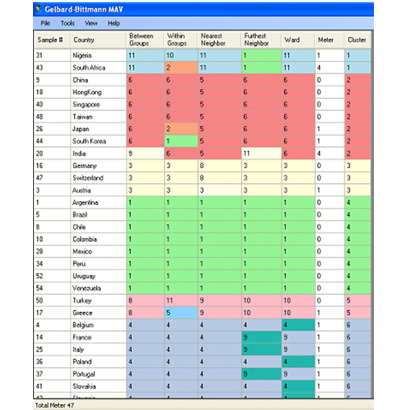 Cluster analysis using multi-algorithm voting in cross-cultural studies. | Expert Systems with Applications, 36(7), 10438-10446. 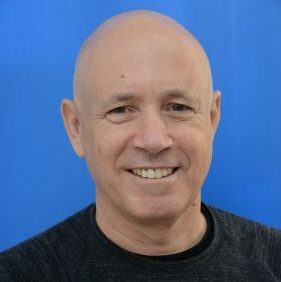 Gelbard, R., Bar-Ilan University. (2016). Method and system for dynamic updating of classifier parameters based on dynamic buffers. | U.S. Patent Application 15/393,761.